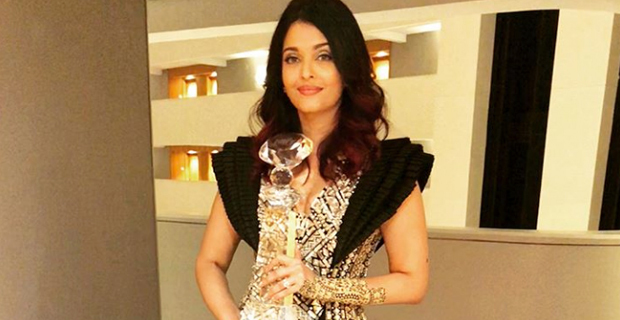 Aishwarya Rai Bachchan has been bestowed with the inaugural Meryl Streep Award for Excellence. Aishwarya who is an Indian actress, model and the winner of the Miss World 1994 pageant along with daughter Aaradhya and mother Brinda Rai, attended the first Women in Film and Television India Award. At the ceremony, established to honour the best female talent in Bollywood and Hollywood, the actress was bestowed with the inaugural Meryl Streep Award for Excellence. The 44‑year‑old later took to Instagram to celebrate her win and shared pictures with the trophy in her hand and Aaradhya by her side. Women in Film and Television India is part of Women in Film and Television International, a network which promotes professional development and achievement for women in the film industry, video, and other screen‑based media. Meryl Streep has been nominated for a record 21 Academy Awards and she has won 3.